When she was a newborn, every action on her part was met with complete and total mercy. I mean, come on—she couldn’t even see a few feet past her face for “crying out loud.” And when she did cry out loud—even if she screamed bloody murder—you could almost always rest assured there was a valid reason for her demonstrative expressions. The last thing we did was correct her for doing the only thing she was capable of besides eating and pooping. But at some point in the process of her development, we passed a mile marker that indicated things were beginning to change. 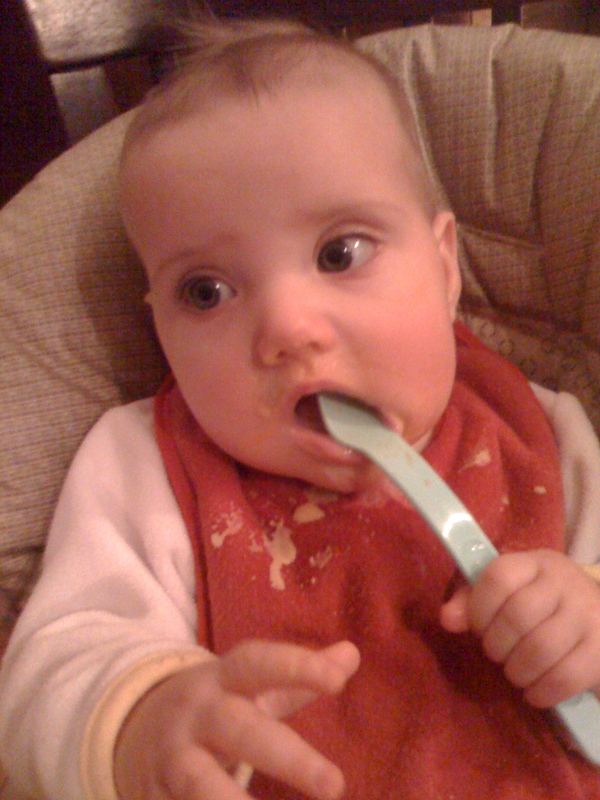 Maybe it happened when she was big enough to start feeding herself her own bottle or pick up fruit off her tray and put it in her mouth. Maybe it occurred when she began pulling up on the furniture. I think that it was most definitely heightened by her obvious recognition of her own name. At that point, she stopped verbally communicating one way and began becoming cognizant—slowly, mind you—that Laura and I were saying things to her as well. It couldn’t be ignored. 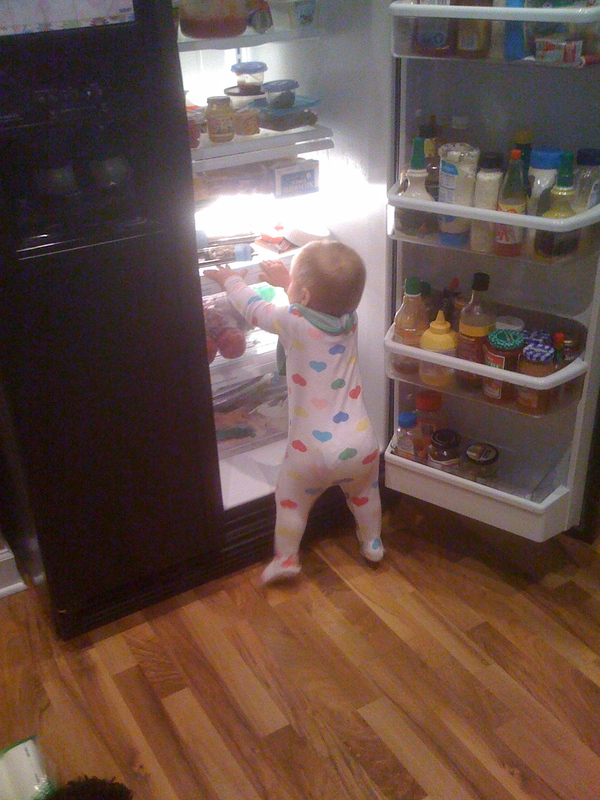 Mostly, “no no” began creeping into our vocabulary and into Sadie’s infant psyche when she became mobile enough to reach the things that would elicit said “no no’s”. At first, it was the remote control. 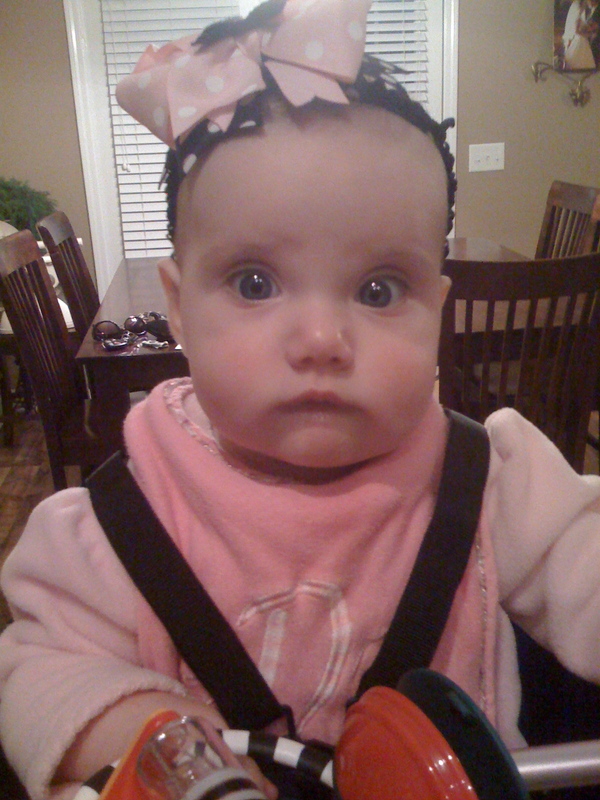 Sadie was aware early on of the power of buttons and her personal potential to push them. You may have read about her brilliance early on with the light switch in her room, so the remote control was no different. My child will not be fooled, either. She knows which remote controls are the important ones. We had an old DVD remote from a player that stopped working that we strategically hid in her toy box. We just knew that such a ploy would appease her and keep her entertained for hours—yeah, that lasted like five minutes. Why? Because her remote control didn’t do anything to the big, brightly colored box like ours did. No, she wanted ours and continued to pursue it. Sadie caught on quickly—well, at least to the concept that we were saying a new word. We must’ve said it more than we thought because one day, she picked up the remote control and proudly proclaimed it as, “no no.” Hmm, I knew we had a long way to go on this one. We tried a similar process with our cell phones. At first, to lead her away from the scent of our phones, we again dropped a baby toy phone into her toy box. Fail. It didn’t even have a chance of tricking her. So we again found an old cell phone that was safe for her to play with, but she wanted little to do with it. Why? Well, my first theory was that somewhere in the depths of her DNA she was naturally and genetically drawn to my iPhone because even a six-month-old can recognize it’s superiority to other cellular devices. I mean, who could blame her? I was proud. Eh, but my second theory may be a bit more sound. She wanted what she could not have more than what was already in her hand. In fact, her desire to find and surpass her given boundaries is now just the life that we live. If the door is closed, she wants to open it and enter. If the cabinet is locked, she wants to open it. 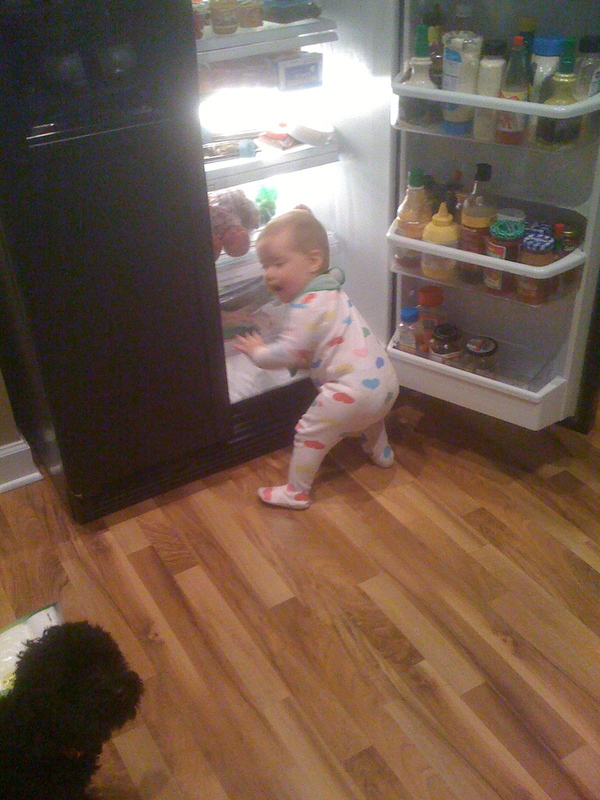 The refrigerator has become a stumbling block of temptation for her. If it looks like something that she thinks we think she shouldn’t have, then by gosh it must be exactly what she wants! The jury’s still out, but we’re making progress. Catch up with me in eighteen years. One thing is for sure, though, my “no no’s” are not signs of dislike or a lack of love; they are exactly the opposite. They communicate love in a way that our culture understands less than my little baby girl. Correction isn’t rejection; on the contrary, it demonstrates that we are children of our parent. If I didn’t love her or if she was just some random child I happened upon, then I wouldn’t take the time to correct her. But since she’s mine, you better bet I will love her enough to teach her what’s important and to protect her from harm—even when it means my tone has to become harsher or I have to utter the words she most dreads. Lately, I’ve been asking my heavenly Father to speak to me more—that my ears would be attuned to his voice. My anticipated answer to this prayer were moments of spiritual glory in which I would reach levels of enlightenment and wisdom that would boggle the mind and enchant the soul. Notice that God calls his words of discipline “encouraging.” I’m still working on being encouraged by the “no no’s” of my Father.